Youth learn the fundementals of entrepreneurship during a STRYDE training in northern Uganda. Youth unemployment is well recognized as a threat to lasting peace. A nation’s youth can be a likely source of instability or a key contributor to peace, harmony and stability. In many post-conflict areas, unemployed or un-engaged youth have the potential to drive conflict. Northern Uganda had suffered from civil unrest since the early 1980s. Thousands of people were killed when the Lord’s Resistance Army, a rebel group led by Joseph Kony, terrorized communities throughout the region. Gulu district bore the brunt of the violence because of its central and strategic location in the Northern Region. When the guns fell silent, nothing was left of Gulu except for tears and despair. But that was over a decade ago, and today Gulu town is a beehive of activity. Businesses are mushrooming – hotels, retail and hardware stores dot every corner of the busy town. The modern market houses more than 1,200 small-scale businesses, and trucks can be seen offloading merchandise all day long. Opportunities are ripe both on and off the farm. 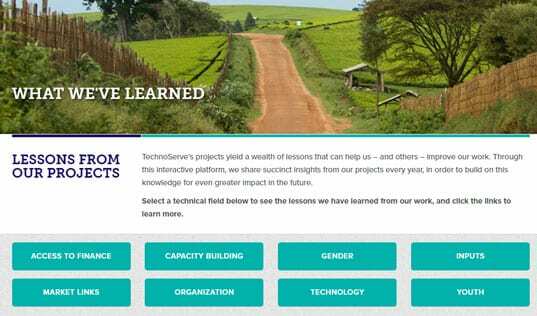 For more than five years, STRYDE – a partnership between TechnoServe and The MasterCard Foundation – has been helping young men and women in rural East Africa transition to economic independence. 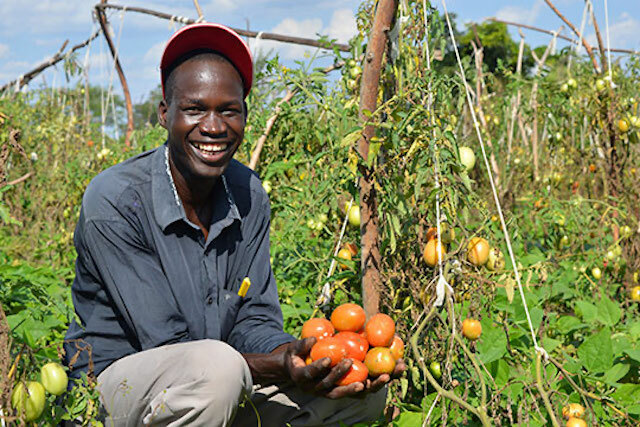 Recognizing that youth entrepreneurship is critical to economic growth, violence prevention and political stability, STRYDE identifies avenues to integrate youth into agricultural value chains and entrepreneurship opportunities. “I was only a child when the war broke out, and nothing prepares you for such an experience. I stared death in the face multiple times." Most STRYDE participants in northern Uganda witnessed the decades-long guerilla war first hand as children or teenagers and know all too well the pain of loss. The majority of those around Gulu had been forced to flee to camps for internally displaced people (IDPs), and some had even been kidnapped by the guerrillas. Behind their cheerful laughter lies wounds bitterness and suffering. However, each day is a new opportunity to overcome the tragedies that they have faced and make the best out of their lives. “STRYDE recognizes the critical role of youth in creating lasting stability and offering protection from future conflicts. Thus at the onset of our implementation in this area, all the trainers underwent an intense psychosocial training to help them identify, counsel and/or refer victims of the conflict,” says Anthony Kerwegi, STRYDE’s Country Partnership Manager for Uganda. STRYDE’s training modules on personal finance, youth savings and business plan development have helped participants increase their incomes by 133 percent since the program’s inception. During three months of intensive training, youth acquire knowledge on how to identify and develop a viable agribusiness idea, how to market their products and how to maintain accurate records. Training is followed by six months of aftercare to track participants’ progress and offer customized business support. “I was only a child when the war broke out, and nothing prepares you for such an experience,” says 25-year-old Polly Achola. “I stared death in the face multiple times. We used bodies of people we knew – our friends – as shields against the guerilla’s bullets.” Today, Polly is happily married to Jimmy Odeny with whom she has two children. Polly and Jimmy attended STRYDE training as a couple, and are now reaping the fruits. “STRYDE taught me that I can start small, and so I started cultivating a small patch of land that used to lie fallow in the swamp. Now I have rented all the neighboring farms for my rice farming,” says Jimmy. The two also grow maize and vegetables and keep pigs. With sales from their farm, Polly and Jimmy now live a comfortable life and are able to save some money for the future. “Before STRYDE, I was a typical housewife with no engagement. I spent my days sitting under the tree. Thoughts of my rough childhood were always lingering in my mind. 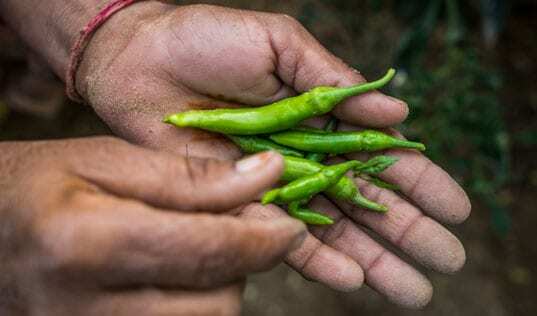 Now I have so much to do on the farm that the only thought in my mind is how to make the most out of the training that I received and make more money,” says an enthusiastic Polly. While the fruits of youth entrepreneurship can be enjoyed by every community, post-conflict areas with high levels of unemployment, like northern Uganda and Rwanda, especially stand to benefit. Opportunities for youth also promote social cohesion and peace. 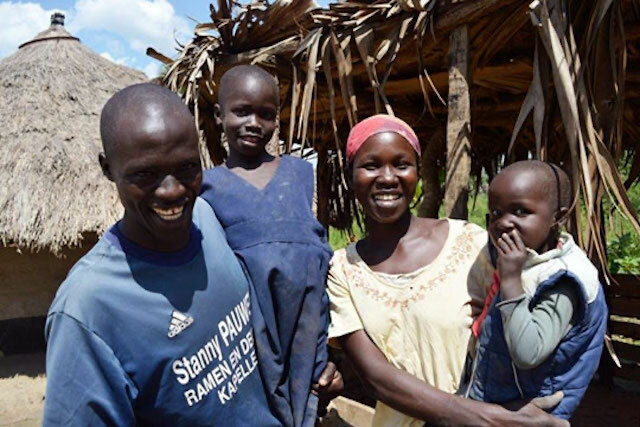 That is why we seek to support rural youth like Jimmy, Polly and Bonny to build a path out of poverty and play a key role in sustainable economic development.